Buses, taxis, and limousines are “Commercial Carriers” in Louisiana. Commercial carriers (also known as common carriers) are vehicles that passengers pay to ride in and include public and private transportation. Since commercial carriers transport passengers, the government holds them to higher safety standards of road usage and passenger care through specific licensing requirements for drivers and various legal rules and regulations. If you ever find yourself in an accident involving a common carrier whether as a passenger of it, a motorist struck by it, a pedestrian struck by it, or a passenger of another vehicle struck by one; there are some important things you should keep in mind when seeking compensation for any injuries or property damages you may have received. What Makes Bus Accidents So Dangerous? Buses have many occupants and often lack seatbelts and even if they do, passengers are less likely to wear them than in regular vehicles. Consequently, passengers in buses are more likely to be thrown around during a collision. Buses also lack basic safety features which help prevent injuries, such as airbags. Because of their weight and size, buses are also more likely to rollover or tip-over in an accident. Their size and weight also mean that any collision they have with a vehicle will be extremely serious for that vehicle. There were 1,945 bus crashes. Out of those, there were 0 fatalities for people inside the bus, but 27 people were killed who were outside of the bus. There were 4,502 injuries to people who were riding inside the bus at the time of the accident. There were 1,482 injuries to people who were located outside of the bus in some form at the time of the accident. In many accidents involving buses, it is frequently discovered that a mechanical issue was the cause. In order to make money for either a private company or a city, the bus must be on the road. This fact can often lead to a mechanic being pressured into fixing problems quickly, delaying needed repairs, or even passing the bus for inspection even though the mechanic knows it is not entirely roadworthy. Another leading cause of bus accidents is subpar hiring practices. Superficial background checks lead to hiring drivers who have a history of accidents and/or lack of training. This puts the passengers and the general public at an extreme risk. The bus companies can be liable if they used inadequate hiring practices, training methods, or supervisory practices. They also would be liable if they kept their vehicles in poor repair by failing to properly maintain them. The city could be held liable if it maintained the roadway poorly, caused obstructions of view, or failed to provide working signals and signs that warned drivers of potential dangers. What Happens if You Are in an Accident Involving a Public Transportation Bus? In Louisiana, the most common types of public transportation are public buses, public school buses, public paratransit, streetcars, and ferries. These differ from other common carriers by the fact that they are run by government entities, like a transit authority or a school district, rather than being run by a private company. Filing an injury claim with a governmental body is a lot more difficult than filing with a private insurance company. There are specific procedures that must be followed. There is a shorter time-frame window that an individual has in which to file a claim. Missing a filing deadline or even just submitting incorrect paperwork could cause you to lose your right to sue and recover any compensation. This means it is extremely important to contact an experienced lawyer if you are involved in a public transportation accident that requires you to be compensated in some form. The second type of common carrier is the taxicab. Taxis are extremely common in large cities, so this leads to a high probability that you will find yourself in an accident involving one whether as another motorist or as the passenger of the taxicab. Although taxi companies often operate a large fleet of vehicles, their actual drivers are frequently considered to be independent contractors. This can cause difficulties in figuring out which insurance company is responsible for an insurance claim that you may have. A taxi driver may be personally liable, a taxi company may be liable alone, or even both could be liable depending on the facts surrounding a cab accident. 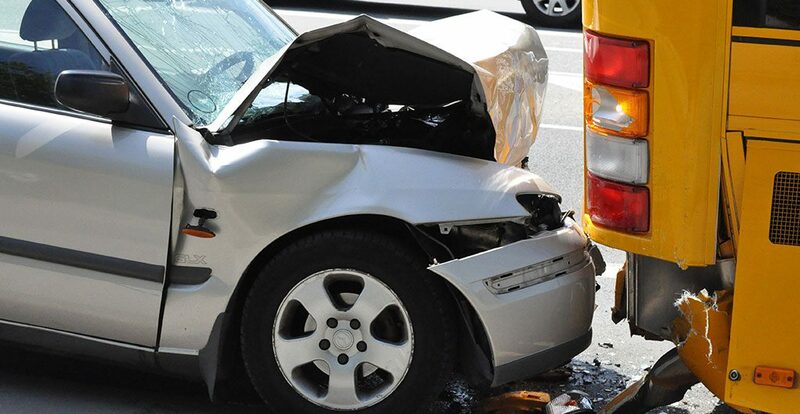 It is vital that an individual involved in a taxi accident finds out who is liable for the accident so that an injury claim can be made to the proper party’s insurance. The driver was an actual employee of the company rather than an independent contractor. The company forced the driver to work more hours than legally allowed which led to driver fatigue. It allowed an incompetent driver or a driver it failed to properly train drive one of its cabs. It permitted an improperly licensed driver to operate one of its taxis. The company failed to properly maintain and inspect the taxicab. It was aware of something in the driver’s past driving record or medical history that would affect his/her driving ability, but still allowed him/her to operate a vehicle. It failed to comply with the state mandated safety regulations. The third common carrier is a limousine. Limousines make people think about life milestones such as a prom, a wedding, or a birthday. These are some of the happiest moments in a person’s life. However, because of their size and the difficulty in driving them in a crowded city, limousines can pose a serious danger to both their passengers and to other motorists. The driver was distracted by the passengers inside the limousine. The driver wasn’t properly licensed. The driver wasn’t properly trained and lacked the necessary driving experience. The limo had been modified so that blind spots that prevented the driver from properly seeing his/her surroundings were created. Why Are Limos Dangerous for Its Passengers? Limousines are often designed with large open backs so that passengers can visit with each other while sitting facing one another. The openness of a limo also means that passengers may be moving all around playing music, making drinks, and posing for pictures. For these reasons, passengers frequently don’t wear their seatbelts, which means they will be thrown all around the limo if a collision occurs. Limos are also dangerous for passengers because they are unaware of their surroundings outside of the limo, since they are paying more attention to what is going on inside of the limo. In addition, because a passenger’s view out of the windshield is often blocked by a divider and the side windows are so darkly tinted that it is hard for passengers to see out of them, passengers can rarely see a crash coming and have no warning to brace or protect themselves. Safety issues with the structural design that arise when modifications are made to a limo may also pose serious dangers to passengers. Who Is Liable in a Limousine Accident? The manufacturer of a limousine would be held liable for an accident that was caused by manufacturing defects or faulty structural design. If another vehicle’s driver is at fault for colliding with a limousine, then the driver of that vehicle would be the liable party. If you are involved in an accident involving a bus, taxi or limousine, contact attorney Donald D’Aunoy Jr. “Lawyer Don” for a free case consultation. His main office is in Metairie, Louisiana. However, he represents clients throughout Louisiana. He makes free house calls to all of his clients at no extra charge.